I’m talking about gentlemen peacocks here, not the dowdy lady peahens. 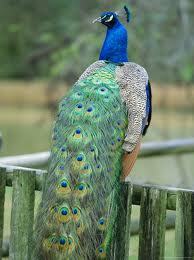 Don’t be fooled by their sleek, beautiful appearance or jeweled, hypnotic plumage. 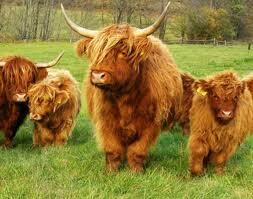 They know they look amazing and the gits completely abuse it. I know this for sure because a few years ago, when I moved out of London and stayed with The Mothership in her little hamlet, we had the misfortune of dealing with a complete thug of a peacock. Our hamlet bordered a very posh, very exclusive private boarding school based in a Grade 1 Listed country house dating back to 1677, surrounded by a large estate and managed gardens. This school had the unfortunate task of coming up with new ways to spend the exorbitant fees that they charged parents for their little darlings education, as well as new ways of enticing potential new parents to come a little closer. For a few years we got to enjoy the sight of huge, gentle highland cattle lumbering around the land belonging to the school, with school affiliated landowners trying to introduce a sense of Sco ttish majesty to the locale. This clearly worked, with parents in Mercedes and Bentleys, containing a weeping Tarquin/Rupert/Cecil/Sebastian on the back seat, pulling over whilst on the long, sweeping drive leading up to the school and taking photos of the oblivious, grass-focused cows. More recently, they decided to invest in adding a small group, or muster, of peacocks to their collection, specifically 2 males and 8 females. Now, forgive me for stating the obvious, but with male birds being such territorial, female-hoarding psychopaths at what point did it seem like a good idea to buy 2 males and expect them to share? The inevitable happened, and the loser was ousted from his cosy home where he had been fawned upon by the peahens and forced to step out into the cold, unforgiving world. 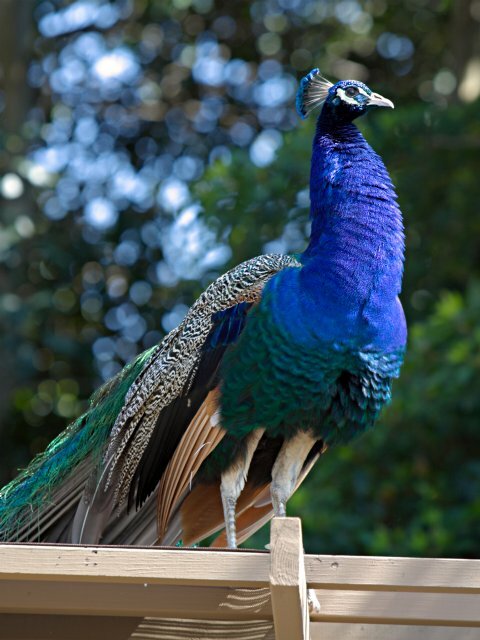 Fortunately for him, the peafowl had been introduced into a farm just within sight of our hamlet, so the losing peacock didn’t have too far to fly to find a new habitat. I first became aware of this menace when I came home from work to find that The Mothership was clearly irritated. When I inquired into what had put such a frown on her lovely face she told me that a big fat peacock had appeared in the area and was spending the day stealing food from birdtables, sunning himself on fences, leaving football sized balls of poop and strutting up and down as if he owned the place. We soon got to hear the ‘tick tick’ of his huge claws on our roofs; got to see him strutting around, keeping an eye on what was going on; heard the beeping of horns as drivers on the main road (with thankfully low speed limit) through the hamlet avoided the posing peacock and the crunch as he landed his huge bulk on our fences. Some neighbours had had previous experience with peacocks and advised how destructive they were, with their heavy, clumsy landings and big feet and claws responsible for damaging and loosening roof tiles, causing big problems when the weather turned wet or windy, therefore The Mothership became a woman on a mission to save our hamlet from this feathery menace. She initially got into the habit of leaping up from her seat whenever she caught sight of a flash of metallic blue, shortly followed by her shouting at the peacock to get lost, but as time passed and the peacock showed no signs of leaving she changed tactics. She made a few futile calls to the aforementioned school asking them to come collect their feathery and no-doubt-expensive escapee, but was repeatedly told that none of their peacocks were missing and therefore it must belong to someone else. The Mothership, not one to be fooled, suspected that they were trying to avoid financial blame for any damage th is whopping great invader was potentially causing, also taking into consideration that peacocks aren’t a cheap purchase, and no-one else would have reason to own one besides a private school located in a stately house on beautiful landscaped grounds with a yearning to impress. After the school washed their hands of the peacock The Mothership decided to try and get rid of him herself, reasoning that if she could get close enough to grab him we could drive him down to where the other peafowl were and return him. The problem she faced was that after all her energetic scaring the peacock would run off whenever he saw her, and so she realised she needed to woo the peacock, make him like her, lull him into a false sense of security so that, once suitably tamed, she would be able to rugby-tackle him to the ground. These new tactics saw a shift in their relationship. I would come home to find her sitting on the step outside the back door, gently talking to the peacock while he stared at her with suspicious boggling eyes. She would leave the back door open during the day when she was at home between jobs, and throw out bird seed and corn to him. My own pet parakeet Joey started a mini love affair with the peacock, with the two of them a little besotted with the others beautiful colours, the peacock just outside the back door and Joey in his cage inside the house, both staring at each other and squawking sweet nothings until I got fed up with the noise and shut the door. The Mothership stopped referring to her nemesis as ‘the peacock’ and started to refer to him by the more affectionate ‘Boo-Boo’ or just plain ‘Boo’; she would watch him at night as he flew to his roost in the trees just outside our hamlet; she would laugh as she told me stories of something funny she has seen him do, or a story from a neighbour about him, until I realised that she had fallen under his spell, the beautiful lure of the handsome peacock had wooed her in return, she had gazed deep into his rich blue plumage and fallen in love! She stopped plotting his capture and downfall and started talking about how lovely it was to have such a pretty bird in the area. She stopped speaking of a time when we would be free from his reign of terror and started commenting on how she enjoyed listening to his mournful roosting cry before he went to bed. For a while I lost The Mothership to love. Until one weekend, with concern in her voice, she mentioned that she hadn’t seen Boo around the hamlet for a while, with none of the neighbours reporting any recent vandalism. She was worried as it wasn’t like him to not strut around the place or come and see her for treats. She was concerned that with his habit of posing in the middle of the main road, maybe a car had him. Or perhaps a cat had got to him. Then one night we both heard it, the eerie call of a peacock drifting across from the hills outside the hamlet. We went for a long walk the next day to the farm outside our hamlet, and discovered that Boo had returned to the ladies. For some reason the other peacock was now happy to tolerate his company, with apparently no jealous possessiveness over the peahens. The Mothership was happy to find that Boo was back among his group, and used to go down to the farm to visit him from time to time until eventually the group disappeared, no doubt having fulfilled their purpose of impressing potential parents and accompanying wallets. 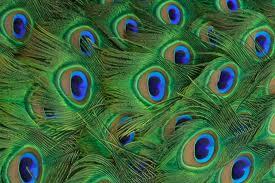 All I leave you with is this: beware the peacock, do not look too deeply into his soulful eyes or gaze for too long upon his lustrous plumage, do not be fooled by his beautiful appearance, for fear he will captivate your heart and steal you away from your loved ones.